CITINI on the web and on your phone gives you and your friends the opportunity to get real time information and tips about destinations around your city. Ever waste cab-fare on a venue to only find out that it is closed, sold-out or that the line is around the corner? With CITINI save yourself the trouble by learning from others, in real time, whether a venue is worth your time and then by reciprocating this invaluable advice by adding tips yourself and earn awesome rewards while doing so. 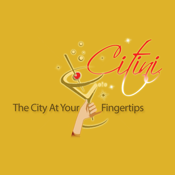 Shake up your night, shake up your CITINI!